Hi guys! 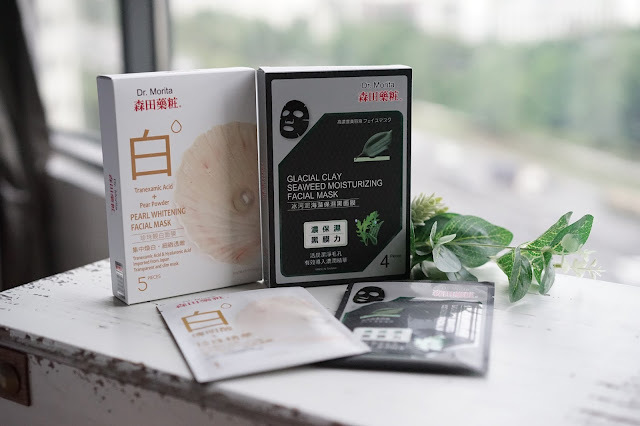 Today I'm sharing with you a review of the Dr, Morita masks, made in Taiwan and available exclusively at Guardian pharmacies here in Malaysia. 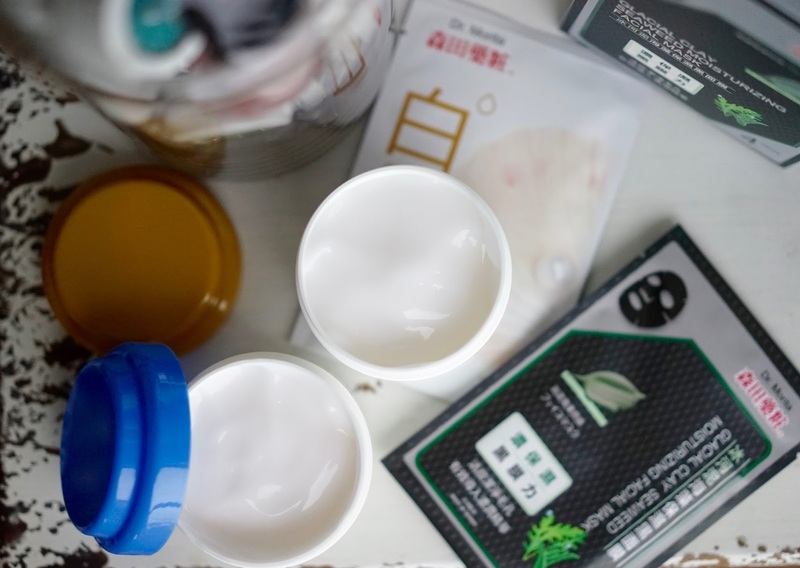 For those of you who don't already know, Dr Morita is a skincare brand well-known throughout Taiwan and Hong Kong for high-quality, well-performing facial masks. The texture of these creams are very gel-like and light. I made Jas try this (his skin was, in particular, quite stressed and red from breakouts and sensitivity) because I knew his skin needed a bit of TLC. 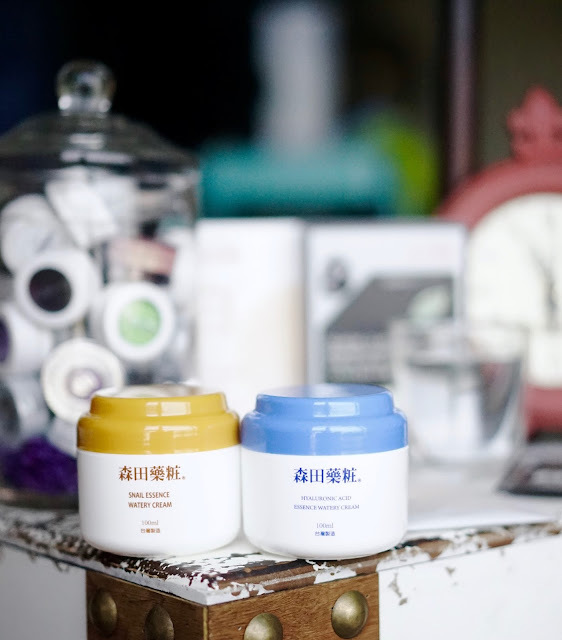 The snail essence is meant to calm the skin and provide intense moisture. 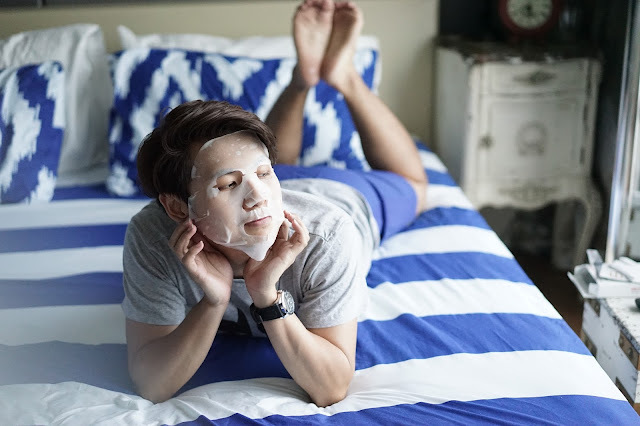 As readers of my blog will know, skin hydration is an essential factor in preventing acne, so I wanted to give Jas' skin a big boost of hydration to calm his acne and prevent any further breakouts. Easy to apply, and the mask comes with a spoon for hygiene. This was my favourite of the lot! This mask contains clay and seaweed as its main ingredients - to draw impurities to the surface and to purify and hydrate the skin. 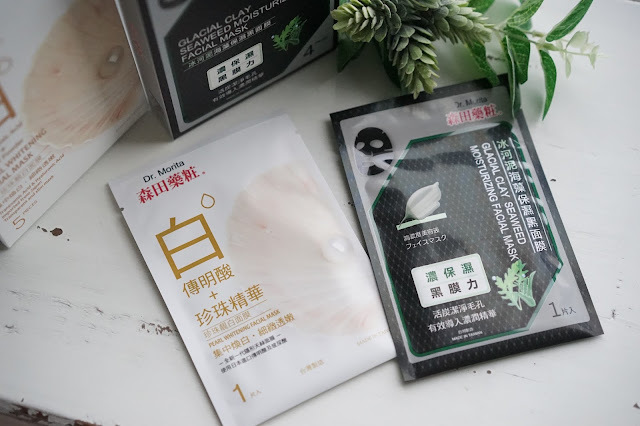 It also contains hydrating and soothing components, so really, this is an all-in-one kind of mask, and I loved using it! This is the kind of mask that I would apply on a weekly basis for maintenance and upkeep - I love this for my oily/combination, congested skin! 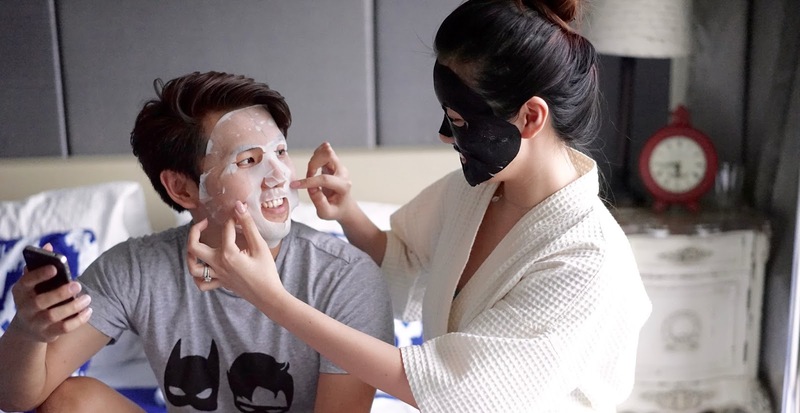 Applying the mask for Jas because he has no idea how to apply masks! 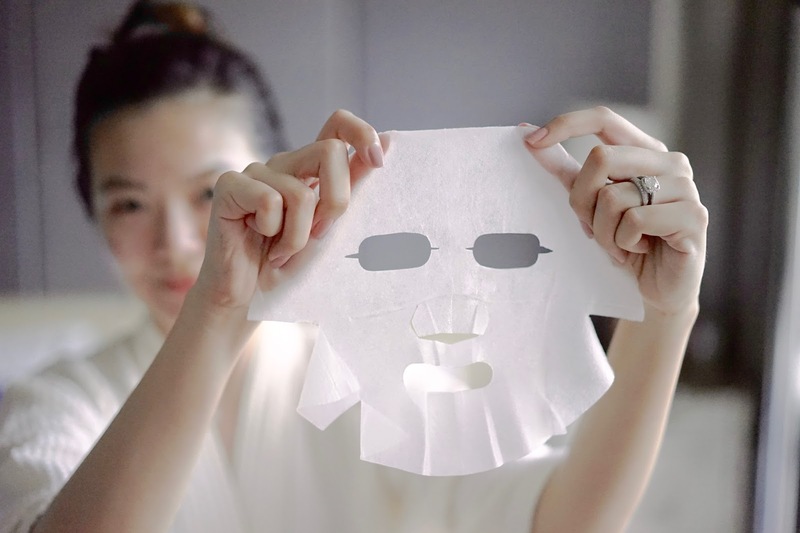 As with all people who aren't fans of fair skin, Jas was hesitant about trying this mask. I finally managed to convince him that it would be good for his acne scars, and he relented. 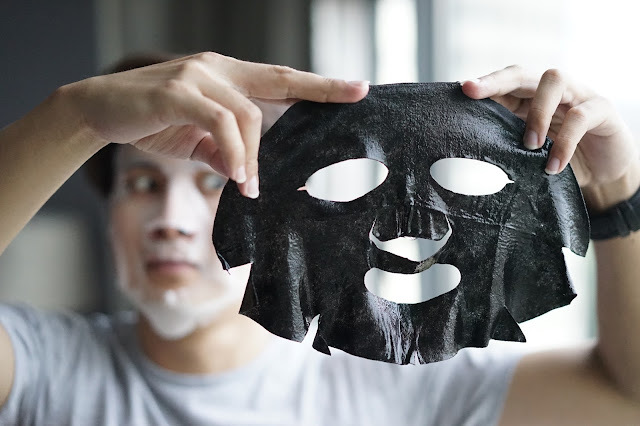 He loved the scent and feel of the mask, and we could see an improvement in his skin, especially in the areas where he was dry and breaking out. His skin was also more radiant and glowy, which I really liked! Letting the masks do the work whilst we relaxed. 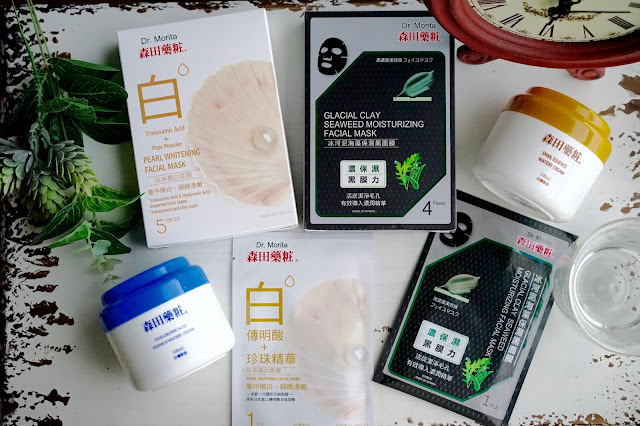 Overall I could see a marked improvement in our skins when we tried these masks, and I do believe they're great quality, particularly for their price point. If you'd like to try these masks out for yourselves, they are exclusive to Guardian pharmacies here in Malaysia. Try them out and let me know what you think!